France has taken over the rotating chair of the International Charter on Space and Major Disasters for the next 6 months. Its term of duty is set to be an exceptional one, since the charter will now be providing the precious aid of its space assets to all disaster-hit nations. 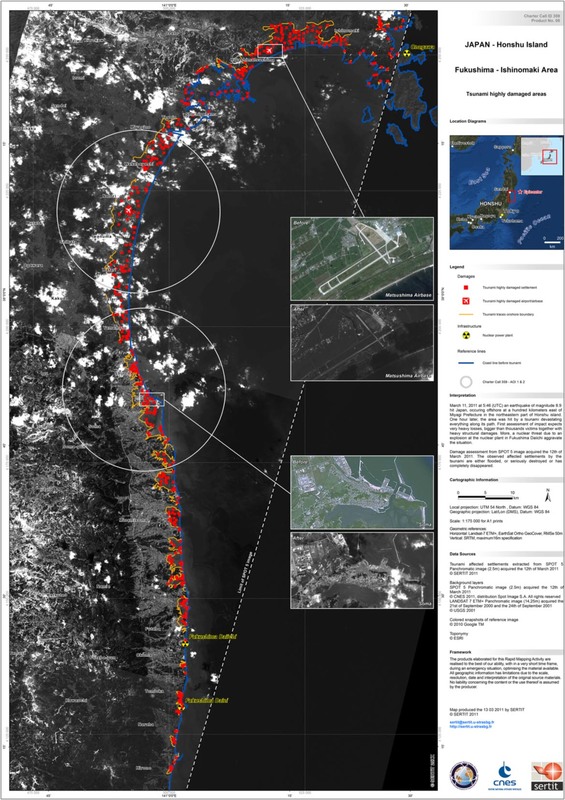 Impact of the 11 March 2011 tsunami on Japan seen by the SPOT 5 satellite. Credits: CNES, USGS, Google, ESRI – map by SERTIT. On 9 October, France, represented by CNES, took over the rotating chair of the International Charter on Space and Major Disasters, succeeding Japan for the next 6 months. The charter provides a mechanism to rapidly mobilize the satellites of its signatory space agencies and deliver imagery of disaster zones to civil protection agencies and the United Nations. Such imagery helps to expedite relief efforts in the event of an earthquake, flood or volcano eruption. “The charter isn’t an organization in its own right. It doesn’t have its own premises, it’s a distributed structure,” explains Catherine Proy, CNES’s representative on the charter’s Executive Secretariat and an engineer in the agency’s Image Analysis and Products department. “Chairing the charter involves coordination and leadership, as well as representing it and liaising with external bodies like the United Nations,” adds Proy. This role is set to become even more vital for CNES as the charter prepares for a big change. “This is an important term, since it will be establishing universal access to the charter,” she reveals. 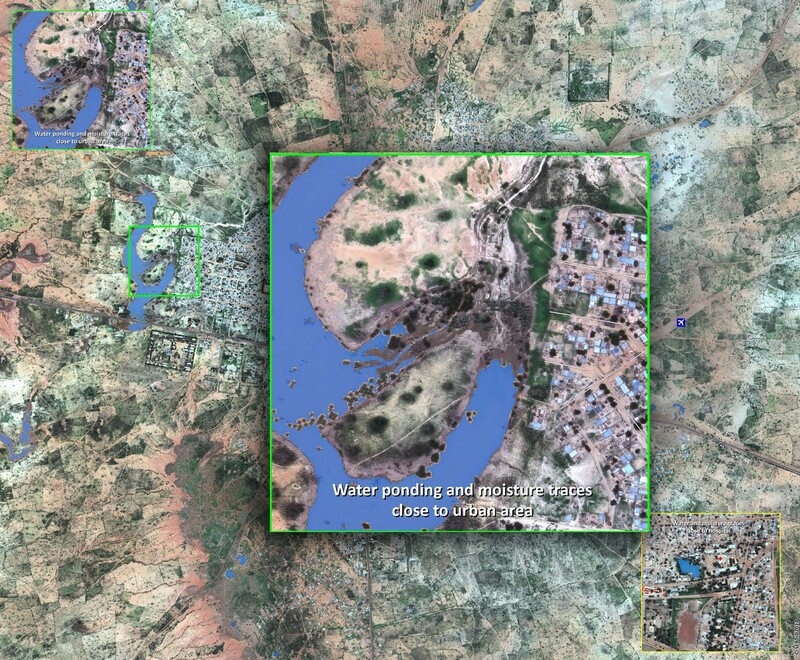 Town of Dosso, Niger: residual flood areas mapped from a Pléiades image. CNES 2012 - Distribution Astrium Services/Spot Image S.A., all rights reserved, map by SERTIT. Since its inception in 1999, only the charter’s members are able to activate its assets according to a well-defined procedure. They can do this for any major disaster on their territory or in any country with which they have cooperation agreements in the event of a disaster. The paradigm shift set to happen during CNES’s term at the helm of the charter is universal access. From now on, charter activation will no longer be the preserve of the members providing space assets. Meeting in Paris (October 2012). Credits: CNES/S. Charrier. “Potentially, any nation will be able to activate it,” says Catherine Proy. “A system has been set up to process applications.” This system aims to ensure that the authority in charge of disaster management in the nation applying has the technical resources required to activate the charter and utilize its data, as broadband Internet connections and image processing tools are needed to receive and exploit satellite data. Apart from these prerequisites, new users will be incorporated into the system progressively. “If only because it takes time to train personnel in the activation procedure,” notes Proy.